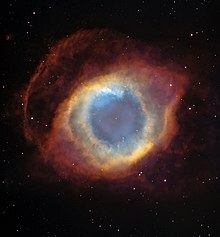 The Helix nebula is a planetary nebula in the constellation of Aquarius. It is about 700 light-years away from Earth. This page was last changed on 6 April 2019, at 14:28.